A look back at the minutes and hours following the deadly Aurora, Colorado movie theater shooting rampage. Drew Griffin reports on the suspect in the mass shooting in Colorado during 'The Dark Knight Rises' premiere. Anderson Cooper talks to Colorado shooting survivor Marcus Weaver about his wounds and escaping the shooting attack. Jordan Ghawi tells Anderson Cooper he wants his sister and the other victims remembered, not the killer in Aurora, Colorado. Gabby Giffords' husband, Mark Kelly, talks to Anderson Cooper about the mass shooting in a Colorado movie theater. CNN's Poppy Harlow talks to the mother and brother of an aspiring reporter killed in the Aurora, Colorado movie theater shooting. Anderson Cooper reports on the shooting at a movie theater in Aurora, Colorado that left 12 dead and over 50 wounded. Reporter's Note: President Obama has ordered flags lowered in mourning for the victims of the latest mass shooting. This one was in a Colorado movie theater. I woke this morning, walked downstairs to see my wife who’d risen before me, and she said, “So I guess you haven’t heard the news? Colorado.” She pointed to the TV screen and I saw in an instant the sea of coverage already underway about the massacre in that movie theater. To say I was profoundly sad doesn’t really tell the story. I don’t know if I’ve ever mentioned it to you, but my family lived just a few miles from Columbine High School, and we had friends inside when that terrible shooting happened. As a result, every time one of these things happens it resonates perhaps a little more strongly for us, as I’m sure it does for anyone who has lived close to such a terrible event. And to hear it was once again near a place we once called home, was particularly disturbing. She and I sat there for a short while watching the coverage. I had intended to go for a run, but instead I said, “I better head to the office.” I spent most of the day listening to police and rescue radio calls recorded deep in the night, watching witness accounts, and piecing together a timeline of precisely what happened when. It is work that I find interesting but depressing. I’ve always believed that one of the best ways for people to start repairing the emotional damage of such calamities, it to settle into the work of understanding what happened, and why, and how. Thanks for your kind words for the people suffering there. I hope all Americans can keep them in their hearts this weekend. 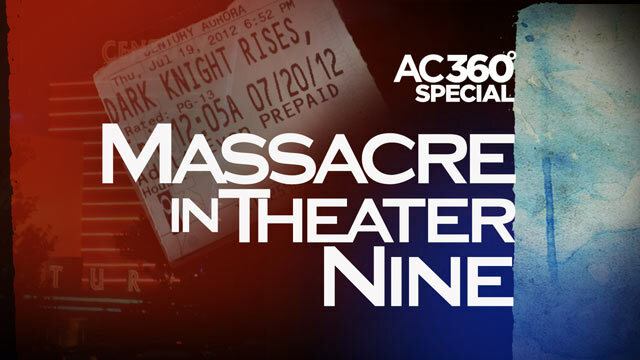 Today's tragic attack in an Aurora, Colorado movie theater marks one of the worst mass shootings in the nation's history. 12 people are dead, 58 others wounded and the violence left everyone asking what could motivate someone to go on a bloody rampage. The suspect, 24-year-old James Holmes, opened fire on innocent moviegoers, using multiple guns, during a screening of the new Batman movie. The details are horrifying. A source tells CNN Holmes bought a ticket, exited the theater propping an emergency door open, dressed in head-to-toe tactical gear, and then went back into the theater armed with tear gas and deadly weapons. His apartment was prepared for a police search with booby traps and trip wires. More details about him are emerging, along with new eyewitness accounts and heartbreaking stories of loss. Anderson is live from Aurora for the 8 and 10 p.m. broadcasts tonight. Tune in and join the conversation on the live blog. Click here to access the live blog. Editor's note: Anderson Cooper will broadcast live from Aurora, Colorado tonight at 8 and 10 p.m. ET. The man suspected of shooting up an Aurora, Colorado movie theater screening the new Batman film early Friday, killing 12 and wounding 59, also left his apartment rigged with traps, police said. "It's booby trapped with various incindiery and chemical devices and trip wires," Aurora police chief Dan Oates said, adding that it could take days to work through the apartment safely. Five buildings around suspect James E. Holmes' Aurora apartment were evacuated, Oates said. Police say Holmes, 24, dressed head-to-toe in protective tactical gear, set off two devices of some kind before spraying the theater with bullets from an AR-15 rifle, a 12-gauge shotgun and at least one of two .40-caliber handguns police recovered at the scene. Oates said investigators are confident that Holmes acted alone. The shooting unfolded inside a darkened theater packed with Batman fans, some in costume for the premiere of the movie "The Dark Knight Rises." Screaming, panicked moviegoers scrambled to escape from the black-clad gunman, who wore a gas mask and randomly shot as he walked up the theater's steps, witnesses said.